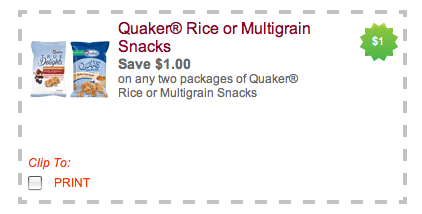 Quaker Rice Cakes $1/2 Coupon! =.49 at Smith's! For more match-ups go here.